The Pier Zip Line is the first Pier to shore Zip Wire experience in the world with a launch tower towering above the sea, and it is located in Bournemouth. It was opened on 13th September. 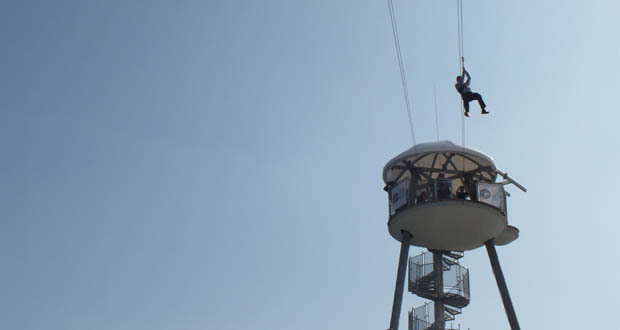 The finishing touches were made to the world’s first pier-to-shore zip wire, which has been opened to thrill-seekers. 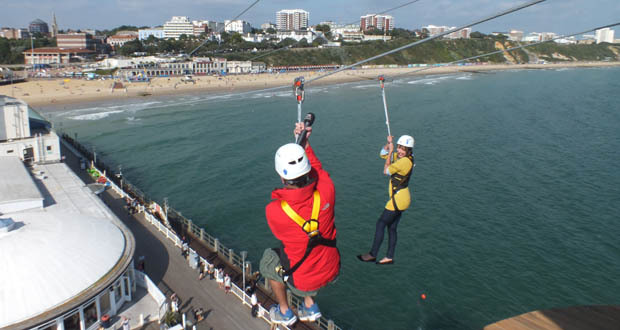 The last zip wire line was installed, linking up to a new zip wire tower on the end of Bournemouth Pier with a specially-created landing stage on the beach. The launch tower stands at the end of Bournemouth Pier at a height of 60ft (approx 18 metres), towering over the sea below. From here you take a leap of faith and step off to experience an exhilarating 820ft (250 metres) ‘zip surf’ over the waves. Furthermore, the Bournemouth Zip Wire is a dual line, meaning you can ‘race’ friends! Have a look at the comments which the reporter Mel Vass mentioned after being the first one who tried the Bournemouth Zip Wire Line. There was no shortage of volunteers amongst Echo reporters to be the first to try the pier to shore zip line. 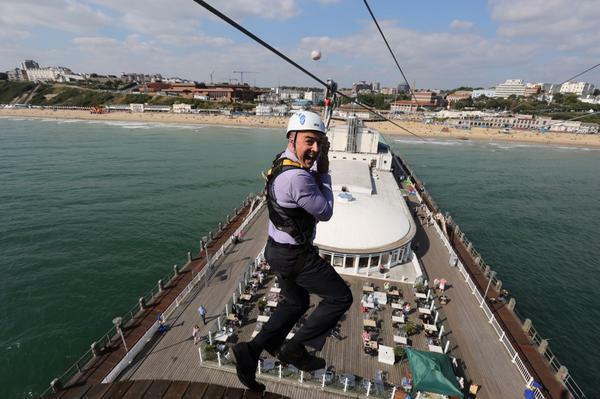 So, if you want to experiment another kind of sensation in Bournemouth, do not hesitate to try Bournemouth Pier Zip Wire. You won’t regret trying this fun and exciting new attraction!!!!! By worldchoiceeducation in Uncategorized on September 18, 2014 .